This article is about the author, Donald Barthelme Jr.. For his father, the architect, see Donald Barthelme (architect). Donald Barthelme (April 7, 1931 – July 23, 1989) was an American short story writer and novelist known for his playful, postmodernist style of short fiction. Barthelme also worked as a newspaper reporter for the Houston Post, was managing editor of Location magazine, director of the Contemporary Arts Museum in Houston (1961–1962), co-founder of Fiction (with Mark Mirsky and the assistance of Max and Marianne Frisch), and a professor at various universities. He also was one of the original founders of the University of Houston Creative Writing Program. Donald Barthelme was born in Philadelphia in 1931. His father and mother were fellow students at the University of Pennsylvania. The family moved to Texas two years later and Barthelme's father became a professor of architecture at the University of Houston, where Barthelme would later study journalism. Barthelme won a Scholastic Writing Award in Short Story in 1949, while a student at Lamar High School in Houston. In 1951, as a student, he wrote his first articles for the Houston Post. Two years later, Barthelme was drafted into the U.S. Army, arriving in Korea on July 27, 1953, the day of the signing of the Korean Armistice Agreement, which ended the Korean War. Assigned to the 2nd Infantry Division, he served briefly as the editor of an Army newspaper and the Public Information Office of the Eighth Army before returning to the United States and his job at the Houston Post. Once back, he continued his studies at the University of Houston studying philosophy. Although he continued to take classes until 1957, he never received a degree. He spent much of his free time in Houston's black jazz clubs, listening to musical innovators such as Lionel Hampton and Peck Kelly, an experience that influenced his later writing. Barthelme's relationship with his father was a struggle between a rebellious son and a demanding father. In later years they would have tremendous arguments about the kinds of literature in which Barthelme was interested and which he wrote. While in many ways his father was avant-garde in art and aesthetics, he did not approve of the postmodern and deconstruction schools. Barthelme went on to teach for brief periods at Boston University, University at Buffalo, and the College of the City of New York, where he served as Distinguished Visiting Professor from 1974 to 1975. His brothers Frederick (born 1943) and Steven (born 1947) are also respected fiction writers. He married four times. His second wife, Helen Barthelme, later wrote a biography entitled Donald Barthelme: The Genesis of a Cool Sound, published in 2001. With his third wife Birgit, a Dane, he had his first child, a daughter named Anne, and near the end of his life he married Marion (Marion Knox/Barthelme d 2011), with whom he had his second daughter, Yekaterina. Marion and Donald remained married until his 1989 death from throat cancer. The December 2001 issue of Harper's Magazine included a speculative piece by writer Paul Limbert Allman in which he imagined Barthelme to have orchestrated the 1986 attack on Dan Rather, citing passages in his writing, including the phrase "What is the frequency? ", a recurring character named Kenneth, and a short story about a pompous editor named Lather. The fact that Rather and Barthelme once worked in Houston as journalists at the same time and certainly crossed paths at least professionally adds credibility that Barthelme at least modeled some of the characters in his writing on Rather. In 1961 Barthelme became director of the Contemporary Arts Museum Houston; he published his first short story the same year. His New Yorker publication, "L'Lapse", a parody of Michelangelo Antonioni's film L'Eclisse [The Eclipse], followed in 1963. The magazine would go on to publish much of Barthelme's early output, including such now famous stories as "Me and Miss Mandible", the tale of a 35-year-old sent to elementary school by either a clerical error or failing at his job as an insurance adjuster and failing in his marriage that was written in October 1960 and was the first of his stories to be published and "A Shower of Gold", in which a sculptor agrees to appear on the existentialist game show Who Am I?. In 1964, Barthelme collected his early stories in Come Back, Dr. Caligari, for which he received considerable critical acclaim as an innovator of the short story form. His style (fictional and popular figures in absurd situations, e.g., the Batman-inspired "The Joker's Greatest Triumph"), spawned a number of imitators and would help to define the next several decades of short fiction. Barthelme continued his success in the short story form with Unspeakable Practices, Unnatural Acts (1968). One widely anthologized story from this collection, "The Balloon", appears to reflect on Barthelme's own intentions as an artist. The narrator of the tale inflates a giant, irregular balloon over most of Manhattan, causing widely divergent reactions in the populace. Children play across its top, enjoying it quite literally on a surface level; adults attempt to read meaning into it, but are baffled by its ever-changing shape; the authorities attempt to destroy it, but fail. Only in the final paragraph does the reader learn that the narrator has inflated the balloon for purely personal reasons, and sees no intrinsic meaning in the balloon itself, a metaphor for the amorphous, uncertain nature of Barthelme's fiction. Other notable stories from this collection include "The Indian Uprising", a mad collage of a Comanche attack on a modern city, and "Robert Kennedy Saved From Drowning", a series of vignettes showing the difficulties of truly knowing a public figure; the latter story appeared in print only two months before the real Kennedy's 1968 assassination. Barthelme would go on to write over a hundred more short stories, first collected in City Life (1970), Sadness (1972), Amateurs (1976), Great Days (1979), and Overnight to Many Distant Cities (1983). Many of these stories were later reprinted and slightly revised for the collections Sixty Stories (1981), Forty Stories (1987), and, posthumously, Flying to America (2007). Though primarily known for these stories, Barthelme also produced four novels: Snow White (1967), The Dead Father (1975), Paradise (1986), and The King (1990, posthumous). Barthelme also wrote the non-fictional Guilty Pleasures (1974). His other writings have been posthumously gathered into two collections, The Teachings of Don B.: Satires, Parodies, Fables, Illustrated Stories, and Plays of Donald Barthelme (1992), and Not-Knowing: The Essays and Interviews (1997). With his daughter, he wrote the children's book The Slightly Irregular Fire Engine, which received the 1972 National Book Award in category Children's Books. He was also a director of PEN and the Author's Guild, and a member of the American Academy and Institute of Arts and Letters. Barthelme's fiction had its admirers and detractors, being hailed as profoundly disciplined or derided as meaningless and academic postmodernism. Barthelme's thoughts and work were largely the result of 20th-century angst as he read extensively, for example in Pascal, Husserl, Heidegger, Kierkegaard, Ionesco, Beckett, Sartre, and Camus. Barthelme's stories typically avoid traditional plot structures, relying instead on a steady accumulation of seemingly-unrelated detail. By subverting the reader's expectations through constant non-sequiturs, Barthelme creates a hopelessly fragmented verbal collage reminiscent of such modernist works as T. S. Eliot's The Waste Land and James Joyce's Ulysses, whose linguistic experiments he often challenged. However, Barthelme's fundamental skepticism and irony distanced him from the modernists' belief in the power of art to reconstruct society, leading most critics to class him as a postmodernist writer. Literary critics have noted that Barthelme, like the French poet Stéphane Mallarmé, whom he admired, plays with the meanings of words, relying on poetic intuition to spark new connections of ideas buried in the expressions and conventional responses. The critic George Wicks called Barthelme "the leading American practitioner of surrealism today...whose fiction continues the investigations of consciousness and experiments in expression that began with Dada and surrealism a half century ago". Another critic, Jacob Appel, described him as "the most influential unread author in United States history". Barthelme has been described in many other ways, such as in an article in Harper's where Josephine Henden classified him as an angry sado-masochist. The great bulk of his work was published in The New Yorker, and he began to publish his stories in collections beginning with Come Back, Dr. Caligari in 1964, Unspeakable Practices, Unnatural Acts in 1968, and City Life in 1970. Time magazine named City Life one of the best books of the year and described the collection as written with "Kafka's purity of language and some of Beckett's grim humor." 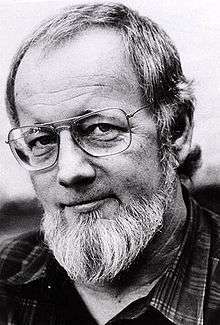 At times it seems that every story Barthelme published was unique, such is his formal originality: for example, a fresh handling of the parodic dramatic monologue in "The School" or a list of 100 numbered sentences and fragments in "The Glass Mountain". The narrator of one story states, "Fragments are the only forms I trust" ("See the Moon?" from Unspeakable Practices; in fact, the statement appears several times in that story), an aspect of his writing which Joyce Carol Oates commented on in the New York Times Book Review essay of 1972 entitled "Whose Side Are You On? ": "This from a writer of arguable genius whose works reflect what he himself must feel, in book after book, that his brain is all fragments...just like everything else". Barthelme expressed great irritation over the "fragments" quote being attributed so frequently to himself, rather than being understood as merely one statement by one narrator in one story. Another Barthelme device was breaking up a tale with illustrations culled from mostly popular 19th century publications, collaged, and appended with ironic captions; Barthelme called his cutting up and pasting together pictures "a secret vice gone public". One of the pieces in the collection Guilty Pleasures, called "The Expedition", featured a full-page illustration of a collision between ships, with the caption "Not our fault!" Barthelme's legacy as an educator lives on at the University of Houston, where he was one of the founders of the prestigious Creative Writing Program. At the University of Houston, Barthelme became known as a sensitive, creative, and encouraging mentor to young creative writing students while he continued his own writings. One of his students and doctoral candidate in creative writing was Thomas Cobb, whose doctoral dissertation Crazy Heart became the novel of the same name, the main character partly based on Barthelme. In a 1971–72 Interview with Jerome Klinkowitz (now collected in Not-Knowing), Barthelme provides a list of favorite writers, both influential figures from the past and contemporary writers he admired. Throughout other interviews in the same collection, Barthelme reiterates a number of the same names and also mentions several others, occasionally expanding on why these writers were important for him. In a 1975 Interview for Pacifica Radio, Barthelme stresses that, for him, Beckett is foremost among his literary predecessors: "I'm enormously impressed by Beckett. I'm just overwhelmed by Beckett, as Beckett was, I speculate, by Joyce". What follows is a partial list gleaned from the interviews. Barthelme was also quite interested in and influenced by a number of contemporary artists. ↑ Appel, Jacob (Winter 2009–2010). "Rev. of Hiding Man, by Tracy Daugherty". Rain Taxi. 14. ↑ Paley, Grace (July 31, 1989). "Laughter in the American dark an appreciation". The Guardian. London UK. See also Weatherby, W. J. (July 26, 1989). "Collages of New York : an obituary". The Guardian. London UK. ↑ Allman, Paul Limbert (December 2001). "The Frequency: Solving the Riddle of Dan Rather". Harper's Magazine: 69–72. 1 2 "National Book Awards – 1972". National Book Foundation. Retrieved 2012-02-27. ↑ The novel was made into the successful 2009 film Crazy Heart. Rourke, Bryan (November 22, 2009). "Foster author's 'Crazy Heart' gets reprint now that movie is on the way". projo.com. The Providence Journal Co. Retrieved 2010-09-22. The Reading Life: Jeff Bridges and ‘Crazy Heart’: Channeling Donald Barthelme?" The New York Times. January 29, 2010. Retrieved on September 29, 2010. ↑ Interview with Ruas and Sherman, 1975. Not-Knowing:: The Essays and Interviews of Donald Barthelme. Edited by Kim Herzinger. Counterpoint, 1997. pg.226. J.D. O'Hara (Summer 1981). "Donald Barthelme, The Art of Fiction No. 66". The Paris Review.